Many assume that Brian is closing in on discovering the fountain of joy, but even for him, that’s too optimistic. Nevertheless, he has shown us that life can be different and better if we alter our habits and mental patterns. 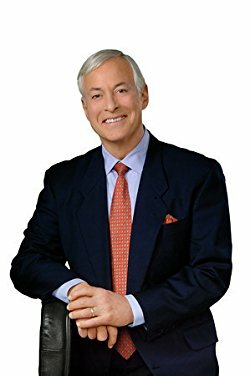 Brian Tracy is one of the very few authors who managed to spreads its viewpoints on all four sides of the world. He was born on January 5, 1944, in Canada. Most of you know him for his outstanding oratory skills and charisma. As a public speaker and self-help author, Brian managed to build a new generation of high-achievers with the help of proven methods and psychological tricks. How did he do it? Let’s move step by step to understand why this Canadian-American motivational author and consultant has its books translated into many languages. It has been reported that Brian Tracy’s business expertise have reached the ears of more than 1000 companies so far. Over the course of his career, he personally addressed more than 5 million people, by attending various seminars, public debates and other meetings in more than 50 countries all across the globe. It’s estimated that on a yearly basis, Brian Tracy as a keynote speaker manages to spread his agenda to more than 250,000 individuals. We leave the “gathering of information process” to be discussed on another occasion because now, we intend to enlighten you with some top-notch tips and insights! Brian Tracy has collected research papers enriched with all sorts of data drawn from reliable sources or centers. Indeed, he spent over 30 years trying the find the perfect formula that can be applied in any challenging environment – in order to get the best out of anyone. Instead of labeling him as a motivator, public speaker, or a consultant, we can endorse that absorbing a mountain of knowledge in fields as diverse as economics, marketing, history, self-help, business, philosophy is an impressive accomplishment that stretches beyond any titles. Some of his books circled around various magazines’ bestselling lists, and that’s why Brian Tracy continues to surprise with his in-depth understanding of productivity and happiness. That’s not all. Would you take action, if an opportunity presents itself? Write a book perhaps?Brian Tracy takes the credit for the success of many companies and individuals by introducing a new set of audio and video programs to the audience. One of them is the best-selling Psychology of Achievement, which was widely accepted and praised by both experts and the ordinary admirers. Brian Tracy has the ball on his court, and he regularly addresses various corporate executives on topics such as Productivity, Motivation, Sales, Influence, Control, etc. Being under the spotlight day in and day out, can really exhaust everyone but not Brian. His talks and guidance are more than welcome and deeply appreciated by those attending his seminars. Leadership, Self-Esteem, Goals, Sales, you name it – it’s all in the realm of Brian Tracy’s competence. Go out and do what you have to do! Do we need to say more? – People have a habit of procrastinating and continue living the life as if there’s always tomorrow. 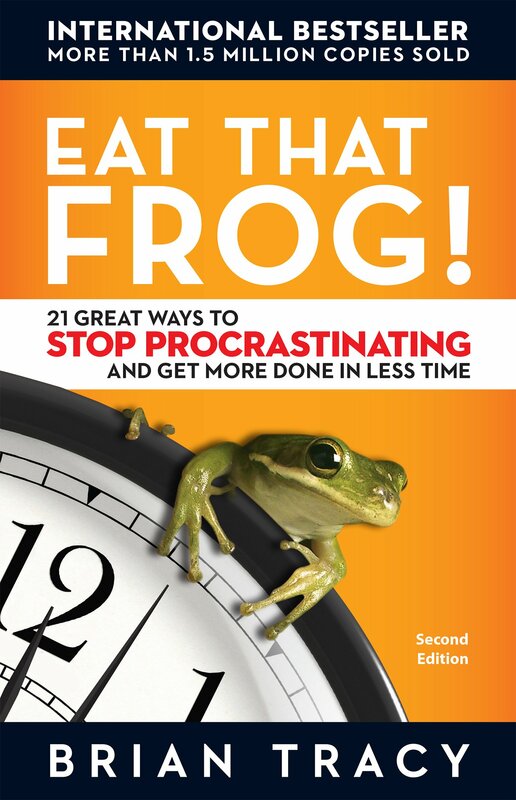 Eat that Frog – exhibits symptoms that oppose your decisiveness to execute the most challenging task first. Useful in real-life situations, Brian tries to enforce a new personal/organizational policy, which leads to results that surpass all expectations. If you sense a talent or a skill don’t waste it, take action and stop delaying – once and for all! Many people have misleading information regarding the message conveyed through this book. Let’s put it this way, Tracy’s ideas are not about getting more things done, but focus on the right ones! Determination and energetic approach are two main assets that can be labeled as the embodiment of prosperity. Brian’s trademark sign is easy to digest, it simply puts weight on three key elements: discipline, management, and determination. Doing the right things at all time is a question of character. Such attitude will help you to carve out time in your busy schedule, and spend it with your family, friends, or by yourself. Goals are the fuel in the furnace of achievement. The bigger your goals and the clearer they are, the more excited you become about achieving them. The more you think about your goals, the greater becomes your inner drive and desire to accomplish them. Most people are led astray by unreliable information about success. In truth, success has nothing to do with neither talent nor luck. Successful individuals agree that if you lack self-discipline, your dreams will quickly collapse. Take notes, and understand why you need willpower, and a special regimen to get things done, and efficiently done. No Excuses! – as the title implies, shows what it takes for a person to reach success in all fields: personal life, business, and of course – overall happiness. 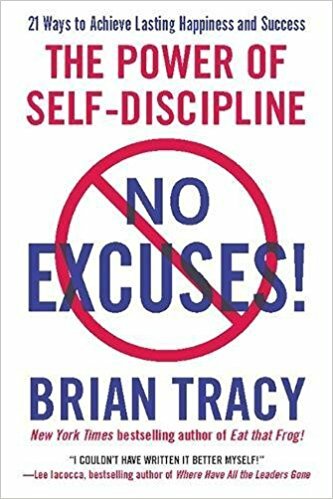 By following Brian’s protocol and his simple ground rules that instigate self-discipline, you’ll be able to the things that you never thought possible. How lucky am I? – This is the question you’ll be asking yourself day in, day out – just stop accusing others for your misfortune. Take the luck into your hands and stop making excuses! 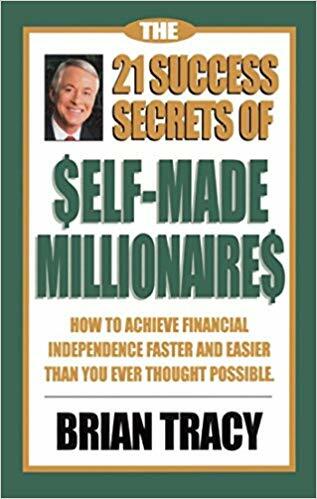 In this book, Brian Tracy pulls out all sorts of examples drawn from personal and professional experience and explains why a person should apply these secrets if it wishes to join the millionaire club. Referred to as business laws, many actors of the grand stage, testified that these practices changed their lives. The 21 Success Secrets of Self-Made Millionaires was originally published in 2000, and since then, Brian Tracy has continued to improve the book, by adding other standards that are worth exploring. “Becoming a millionaire as a process”, is just a question of time, if you are equipped with all the necessary tools. Learn the cycle, and don’t be afraid to make mistakes. To what/who does Brian owe his success? How to rise and climb the ladder, if you don’t understand the game? It’s pretty hard and challenging, that’s for sure. However, if you have access to research papers, business reports, and statements that are filled with useful information, you’ll quickly be on the trail of those who share the status of a millionaire. Tracy in an in-depth manner clarifies each element, assisted by a full-scale investigation that puts in plain English, what lies beneath the surface (referring to concepts that keep us down). How the business world functions is another matter, but you can use your own set of skills to build an empire. THE FIRST SECRET of self-made millionaires is simple: Dream Big Dreams! Now, that’s something to get you started. We were really uplifted while exploring and writing Brian’s biography, and hopefully, the same feeling will evoke within you. 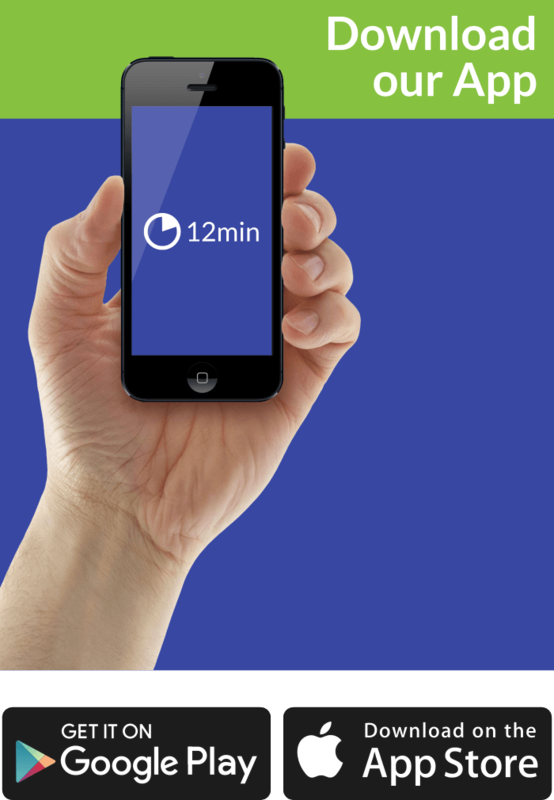 The bottom line is – stop delaying your tasks and put your ideas to the test!